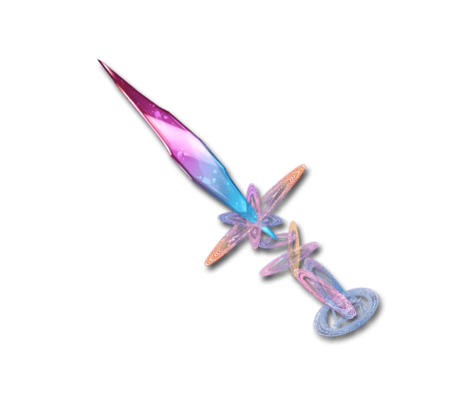 4★ Complete Alexiel Lvl 45 Fate Episode "Time to Go Legit"
This mystical blade emits an illusionary light and serves as a vessel of power and of protection. It ends all that stand in its way. Foulkon Blade Massive Earth damage to a foe. Duration: 3.5 turns (DEF) / 1.5 turns (DMG) (400% Earth damage (Damage cap: 700,000) to all foes 1.5 and 3.5 turns after charge attack). On the next turn, it'll have 1 turns remaining. has similar behavior to the calls of Grimnir (Summon) and The Tower, dealing damage and applying a 2-turn duration instance of the buff when it expires. It is possible to have one instance of each version of the buff at a time (although the UI will only show one), and the eruption will still deal damage if it expires on the same turn it is overwritten/refreshed by a new charge attack. The eruption damage is treated as skill damage originating from the MC and benefits accordingly from Skill DMG Cap Up effects. This page was last modified on 3 March 2019, at 19:46.